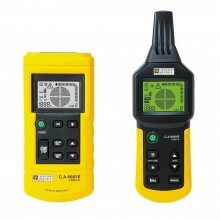 Cable Fault & Fuse Finders There are 3 products. 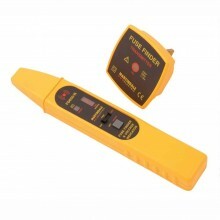 An essential tool for practicing electricians, fuse finding test equipment saves you time messing around with circuits when you could simply scan and get the results. A fuse finder really will save you time and effort, freeing up your time to get more work done and be able to supply much more efficient services to your clients. Product shown at manufacturers RRP. Click on 'Best Price Quote' button or telephone (Belfast) 02890 830302 for our sale price. The Martindale FD550 is a digital fuse finder kit, with microprocessor controlled multi-level sensitivity for fuse and breaker indentification. Product shown at manufacturers RRP. Click on 'Best Price Quote' button or telephone (Belfast) 02890 830302 for our sale price. For your housing maintenance, renovation and improvement work, the lOCaT-N C.a 6881 detects electrical power cables and telecommunication cables, metal pipes and even anomalies on your lines. 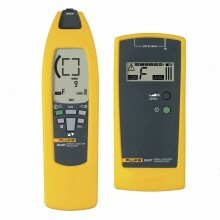 The Fluke 2042 cable locator is a portable measurement instrument that can be used to detect or trace conductors.